An elegantly simple four panel moulded door with clean lines is shown with matching Burford Primed MDF Traditional Skirting and Architrave. A versatile 4 Panel Shaker style door. 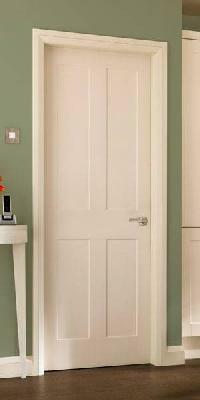 This simple, elegant door can be painted to suit any colour scheme.